What about a couple who lives together as husband and wife, but does not have the marriage registration? What kind of property rights and obligations do they have without the marriage certificate? (2) property under common ownership of a woman and a man living together as a family, but without registering an official marriage, is subject to general rules provided by law for the common ownership of the officially married persons, i.e. equal rights as for the possessing, use and alienation of such property. As a general rule, Ukraine will have jurisdiction over any property located on its territory, as well as in the case where one of the parties proves that the cohabitation took place in Ukraine or files a lawsuit with a court in Ukraine. Thus, the partner alleging the existence of marital relations despite the absence of a marriage registration will have to prove the fact of cohabitation in Ukraine and keeping joint household in Ukraine. Living together and keeping a common household in may be confirmed by various circumstances characteristic of family relations (living together as man and wife in the same dwelling place, having meals together, common budget, mutual care, acquisition of property for common use). 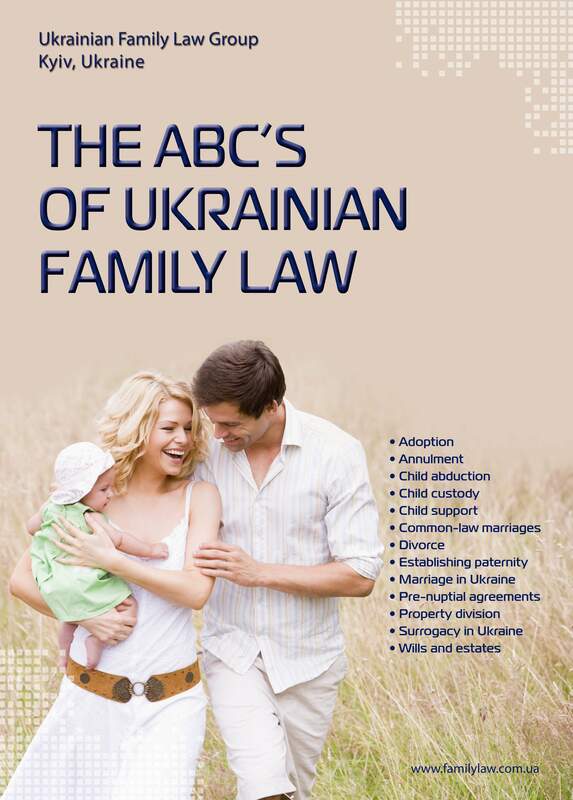 Unfortunately, Ukrainian family law does not provide specific requirements to determine what period of cohabitation (living together as spouses) is sufficient to determine that marital relations exist. Moreover, cohabitation does not necessarily have to commence in Ukraine, but it must take place in Ukraine at least during some period of time sufficient for the court to establish actual marital relations. Based on judicial practice, and commentary by the Supreme Court of Ukraine, it appears that any specific term will be subject to factual review before the court on a case-by-case basis (by use of witness testimony, fact of joint acquisition of property for common use while living together, etc.). (b) real and movable property, purchased by one party within the period of their relationship, can be therefore considered as common ownership of both parties. In such case, the other party is entitled to exercise his/her rights (possession, use and disposal of such property) as if he/she is married to the property owner. 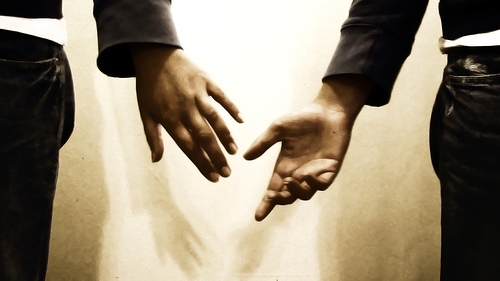 (b) they have established long-standing relations typical for spouses. According to the Article 3 of the Code, a family consists of persons who reside together, are connected by joint household use, have mutual rights and obligations. The court may rule that the relations are marital, taking into consideration evidence and supporting documents confirming joint residence, joint purchases (bills), sharing housekeeping expenses, any vacations taken together, etc. (2) such property cannot be considered as the common ownership by law. (3) during the period of marriage but for money belonging to her or him personally; (4) for individual use (e.g., property was purchased by money belonged to the owner personally or acquired before parties' relations had really started). The owner's family members are considered to be his wife, their children and parents. Unfortunately, other persons can also be recognized as the owner's family members, including mother-in-law, if such persons permanently reside with the owner and help manage the common household (Article 64 of the Housing Code of Ukraine). Whenever relations between two partners are recognized by the court as marital, they are considered as family members to each other. According to Article 156 of the Ukrainian Housing Code, family members of an owner of a residential house (or an apartment) that jointly reside with him have the right to use such residential space equally with the owner unless another agreement regulating the use of such house (apartment) by family members is concluded between the owner and such family members when they move into the house (apartment). Importantly, termination of the family relations with the owner of the realty does not cancel the former family members' legal rights to use residential property. Considering provisions of the Ukrainian Housing Code with respect of the actual and former family members' right to use the apartment (on free or paid basis), the chances of evicting any "family member" without a registered official marriage (even if such relations are already over) on legal grounds is rather small, unless all the issues of the apartment's use by such a party is clearly determined by a prior agreement with the owner. 2) the child is a citizen of Ukraine; 3) the child permanently resides in Ukraine. The most important obligation that arises in the described situation is payment of child support for the maintenance of minor children. The child support is calculated in percentage from a salary/incomes or determined by the court. In determining jointly acquired assets for the purposes of their subsequent equitable distribution between the parties, Resolution No.16 of 12 June 1998 of the Plenary Supreme Court of Ukraine"On the Application by the Courts of Ukraine of Certain Norms of the Family Code of Ukraine" requires the courts to establish the amount of jointly acquired assets available by the moment of termination of joint managing the household (cohabitation), to determine the source and time of the acquisition of the designated property. Generally, common joint property constitutes any movable and immovable property acquired during living together as a couple (cohabitation). The assets that used to belong to one of the persons may be found to constitute common joint property if the parties contractually agreed to this or where the court found that during the period of cohabitation the value of such property has increased as a result of labor efforts or financial expenses of the other person or of both of them.